MONTREAL -- Veronique Brouillard says she loves being an auxiliary nurse. But between the constant requests to work overtime, calls that interrupt her vacations, and a heavy and stressful workload, the 36-year-old mother of three said she's exhausted, stressed -- and furious. "We have no life," she said. "One day off in a week, and they call us four times (asking us) to come in for extra work. I've had enough." She was one of several dozen health care workers who stood on a Montreal street corner on Friday night waving signs and loudly expressing their anger over staff shortages and working conditions that they say are causing them to burn out and are compromising their ability to care for patients. 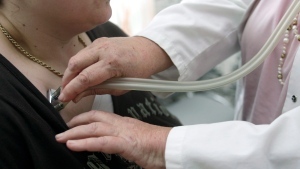 While concerns over nursing shortages and burnout are nothing new in Quebec, the issue has resurfaced just as the province prepares to enter a fall election campaign. Some nurses have taken to social media to vent their frustrations, and the head of a provincial nurses' union is once again calling on the health minister to lower nurse-to-patient ratios and end the practice of mandatory overtime. A Facebook post by a young nurse named Emilie Ricard was shared over 56,000 times after the woman from the Eastern Townships posted a picture of herself in tears, giving a sarcastic thumbs-up after a night-shift in which she said she had to care for over 70 patients alone. Nancy Bedard, head of the Federation interprofessionnelle de la sante du Quebec, blames government budget cuts for exacerbating a long-standing problem. "They're always asking us to reorganize, to do more with less," she said in a phone interview. "We've hit a wall, a level where we say we can't go further." 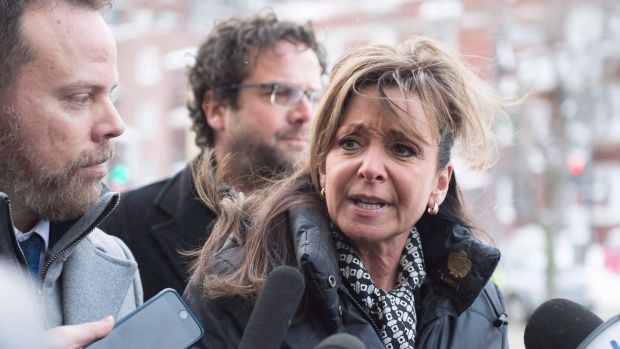 Brouillard, whose job includes handing out medication and assisting nurses, said the staff shortages in the Monteregie region where she works are so acute that she can no longer take the time to sit down and soothe an agitated patient. "It's like an assembly line, I distribute my pills, 'bang, bang, bang,"' she said. Her colleague, Patrice Godbout, said requiring health care workers to do mandatory extra overtime was leaving them exhausted and killing morale. "We have a sword of Damocles over our heads because when we go into work we never know when we'll leave," he said at the street-corner protest. "What we want is the chance to heal with dignity, because that's what we've lost in recent years." Health Minister Gaetan Barrette met with the nurses' union earlier this month and later expressed a willingness to work with nurses to resolve their concerns. "The nurses have legitimate claims," he said, adding that "the question of ratios must be revisited and brought up to date." A second meeting is set for Tuesday. Bedard said she was encouraged by the minister's openness, and said health-care workers feel, finally, that the province is listening. But she's warning that she will accept nothing less than concrete action. Melanie Lavoie-Tremblay, a professor of nursing at McGill University, said resolving the issue will take more than just posting new job ads. She said that while nursing schools are full, many new graduates end up leaving the profession or are hesitant to take full-time work because they find the job too stressful or difficult. "When new grads are coming in the workforce there's a big gap, because they have to face a big acuity of care and they have to learn quickly," she said. "Because the conditions are hard, it's difficult for the current staff to support them and work all together." Lavoie-Tremblay suggested programs be put in place to ensure new nurses receive more support and get a chance to put the things they learned in school into practice. Schedules, she said, should also be made more flexible so that young people concerned with work-life balance don't have to spend years working nights before being offered a better shift. "If we don't offer a good position or good working conditions, they will go elsewhere, and that's a good thing," she said.